The department of Physics in Magadh Mahila College was established in the year 1948 with the introduction of Intermediate teaching in science. It has the distinction to be the first all women institution in Bihar, where teaching of science was introduced as early as in 1948. This department was awarded with ‘STAR DEPARTMENT’ by UGC, New Delhi under CPE Programme in November – 2011. The B.Sc. classes were started in 1966 and Honours teaching in the year 1980. Mrs Pratima Sanyal was the founder Head of the department. She was taught by the legendary Physicist Professor S.N. Bose of Bose Statistics fame as a M.Sc. student at Presidency College, Calcutta University. On her retirement in 1979, Professor Padmavathy Srinivasan, became the HOD (1979-2004). From the very beginning the department was well known for its high standard and discipline. Our results have been excellent and our students regularly obtain top ranks in the University. The department strives to inspire the students to develop a keen interest in the subject. Their experimental skills are carefully nurtured and supervised by the teachers. Many of our ex students are actively engaged in research in Pure and Applied Science in national institutes of repute viz IITs and IISc as well as abroad. The students passed out of this department are very well established and holding high positions in their respective organizations. 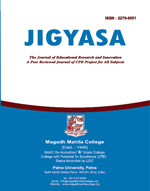 The teachers published research papers in national and international journals of repute. 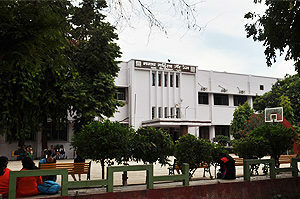 The Department of Physics also worked as the mentor of Computer Applications Centre in the college. Dr Padmavathy Srinivasan along with Dr Dolly Sinha established the first Computer Laboratory in the college and introduced the teaching of Bachelor of Computer Applications (B.C.A.) course in the college in the year 2000 and of Post Graduate Diploma in Computer Applications (PGDCA) in 2004. Professor Srinivasan also served as the Coordinator of B.C.A. course from 2000-04. She also deserves the credit for rejuvenating the Science Society of the college. As President of the society, she used to deliver and conduct a number of popular science lectures and activities for the benefit of all students and teachers of the college. Known for its high efficiency, the department of Physics is an invariably consulted and assigned responsibility such as admission, examination etc. Two teachers of the department became the Principal of the college. Professor Dr Kiran Aryani Mitra holds the office of the Principal from 2004 – 05. Dr Kiran Aryani Mitra later elevated and joined as the Head of the P.G. Department of Physics, Patna University in Nov 2009. Professor Dolly Sinha joined as Principal of the college on 03 June 2009 and is continuing. Professor Abha Sharan, the present head of the department is fully dedicated to teaching. She shares many administrative responsibilities of the college too, including managing the PGDCA course as its Coordinator from July 2008 and managing the Vocational Courses examination (2004- 2011). Another teacher of the department Dr Mamta Deepak manages the BCA and CIC courses as its Coordinator. She is also the Controller of Examination of Vocational Courses examination. The department is actively engaged in extension activities to promote scientific temperament and science related issues. Teachers and staff of the department volunteer in organizing preliminary examination of “International Olympiad in Physics” conducted by IAPT since 2000. Now we have also started conducting preliminary examination of International Olympiads in Chemistry, Biology, Astronomy and Junior Science since 2004. National Standard Examinations are nationwide examinations conducted by IAPT. These examinations are the FIRST and the ONLY SCREENING TESTS towards International Olympiads in the respective subjects. Department also conducts National Graduate Physics Examination for undergraduate students of different colleges of Bihar since 2004. Department conducted Physics Olympiad Exposure Camp in association with Homi Bhaba Centre for Science Education (HBCSE), Mumbai on Sept 26-27, 2011 for undergraduate teachers.